Packers @ Redskins Preview « Roll Out the Quevedo! Apologies on the lack of Packer posts. It’s been a ridiculously hectic two weeks, but I’m back. Quite the two weeks. No Lynch trade, rumors of a DeAngelo Williams trade, Moss to the Vikings, and injuries galore. 1265 Lombardi set up a MASH unit this week in the parking lot. 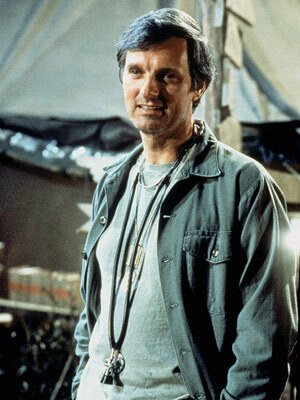 The only Packers signing over the last two weeks has been Hawkeye Pierce. Some of you may have missed a key league transaction on Tuesday morning. After the Monday night disaster, the Dolphins fired their special teams coordinator John Bonamego. Granted, fans can be a little over the top sometimes, but this is evidence that there are some NFL executives who refuse to put up with poor performance. Are you following this McCarthy? In my season preview, I said Slocum would be gone by the bye week. How can he make it to week 10? It’s insane. I can’t even stand watching it anymore. As soon as Slocum threw Masthay under the bus for his 65 yard punt against the Bears because he didn’t kick it to the sideline, he should have been fired. 1)Injuries- Burnett and Barnett are out for the year, Chillar’s out, Collins could be out, both tackles are hurt and we still don’t have a running back. On the Redskins sideline, Portis is out 4-6 weeks. Bottom line- the Packers will be playing guys they don’t trust. If they trusted Bishop, he would be starting already. If they trusted the DB who shall not be named, he would be more than a special teams penalty waiting to happen. One would assume the Redskins game plan will be to target these guys and put them on an island. My hope is they’re too dumb to figure it out. The Redskins have Orakpo and ??? 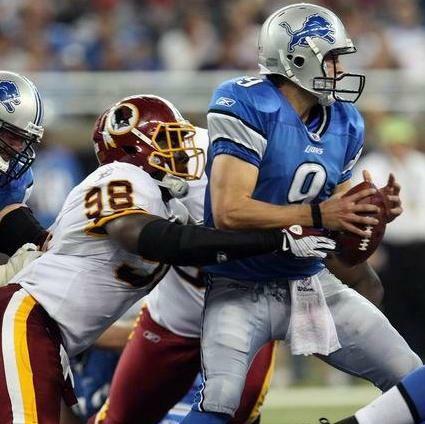 2) Big day for Rodgers?- The Redskins are 31st in the league in total defense and passing defense. They are allowing over 300 yds per game through the air. They have one playmaker on defense, Brian Orakpo. They’ve already given up 30 points twice, to the Texans and Rams. Yes, the Rams. It’s time for Rodgers to get into a rhythm and finish drives off. I’m thinking 26-32 for 320 and 3 TDs. Book it. 3) The other guy- Let’s be honest. The Redskins beat the Eagles last week in spite of Donovan McNabb. He was 8-19 for 125 yards. In the NFC, only Derek Anderson has a lower completion %. Only Brett Favre has thrown fewer TDs (how’s that for a stat!!!). He’s past his prime and the Packers D should be chomping at the bit. 4) Attitude- Seriously, what are we playing for? The Packers played uninspiring football Sunday against the Lions. Even Tony Robbins would have left Lambeau depressed. We need to see some attitude and passion. This is a huge game. The Skins are back home and in need of a win to stay in the NFC East race. They’ve got a running back in Ryan Torain who wants to put Clinton Portis in his rearview mirror in over the next 6 weeks. The Packers have to show up. Is this the week when Greg Jennings shows us that he still has the ability to catch a pass outside of the redzone? Over the last 3 games, he’s caught less than 50% of his targets, (7 catches, 16 targets)! Compare that to his teammates: Finley (21/24), Driver, Jones and Nelson and he’s the only receiver that is under the .500 mark! Greg, you’re a great guy, but people don’t make your salary just for being nice!